Built on Verizon's "proprietary 5G standard," Verizon 5G Home promises at-home speeds of around 300 megabits per second — up to nearly 1 gigabit per second in some areas — with no data caps, according to the company. Initial rollout is slated for parts of Houston, Indianapolis, Los Angeles and Sacramento. Though the deployment is limited to home networks, it marks an important first step toward wide adoption of mobile 5G. To claim first-to-market bragging rights, Verizon is not using an industry standard flavor of 5G in the October rollout. It is this decision that presumably restricts Verizon to a fixed position network; the telco's proprietary 5G TF standard can only communicate with specialized devices, in this case 5G Home routers. The company plans to transition to industry-standard 3GPP 5G NR technology in subsequent installations, a move that will enable rapid expansion into new coverage areas and later enable a move into mobile 5G. "To be first, we encouraged others in the ecosystem to move more quickly at every step," said Verizon CEO Hans Vestberg. "We appreciate the partnership of network equipment makers, device manufacturers, software developers and chip makers in reaching this critical milestone. The entire wireless industry gets to celebrate." 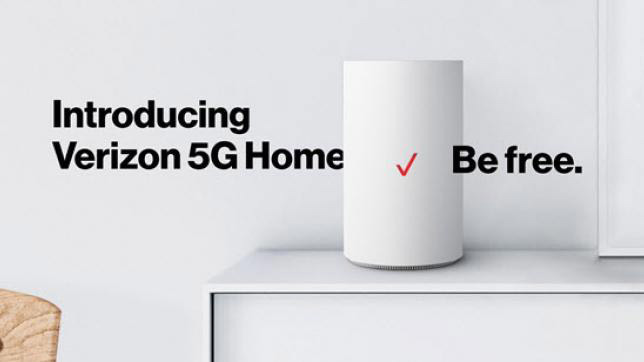 Customers can sign up for Verizon 5G Home starting Thursday morning through a dedicated website aptly named FirstOn5G.com. These "First On 5G" users will be eligible for three free months of service, after which Verizon Wireless customers with qualifying smartphone plans pay $50 per month, while non-customers pay $70 per month. As announced in August, Verizon is further sweetening the deal by handing out free Apple TV 4K or Google Chromecast Ultra devices at installation, and is paring those streaming boxes with three free months of YouTube TV. "First on 5G" adopters also receive free white glove installation and equipment, including router upgrades in 2019, specialized customer service and first crack at mobile 5G devices when they become available.